Chairman and CEO, Blanca Commercial Real Estate, Inc.
Tere Blanca has more than 25 years of experience in the South Florida real estate industry and has been actively engaged in helping clients optimize the financial outcome of their real estate decisions. 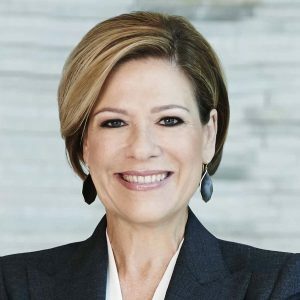 Prior to launching Blanca Commercial Real Estate in 2009, she served for five years as senior managing director for Cushman & Wakefield of Florida, Inc. In 2016, she received recognition as the Philanthropic Leader of the Year by City Year Miami and Community Leader of the Year by the Hispanic Chamber of Commerce. She has an MBA from University of Miami and has achieved her Society of Industrial and Office Realtors (SIOR) designation.